In blender, place all ingredients. Cover; blend on high speed about 1 minute or until smooth. Pour into glasses. Serve immediately. If you prefer regular yogurt over Greek yogurt, substitute a 6-oz container Yoplait® Original French vanilla or Yoplait® Light very vanilla yogurt for the Greek yogurt. 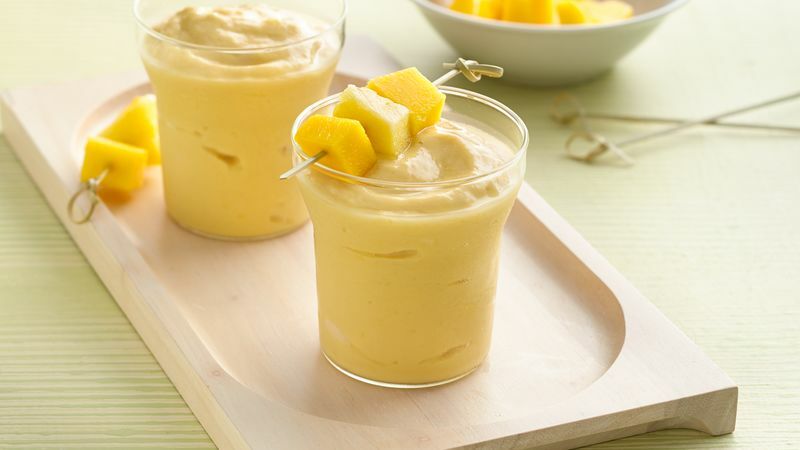 Vegetable purée can be added to your favorite smoothie recipe. Just add 1 pouch of purée to blender with your other smoothie ingredients before blending.